The Baltimore Coin and Currency Convention is the only major show for the summer (until ANA in August) so dealers will be very interested to see what takes place this week. 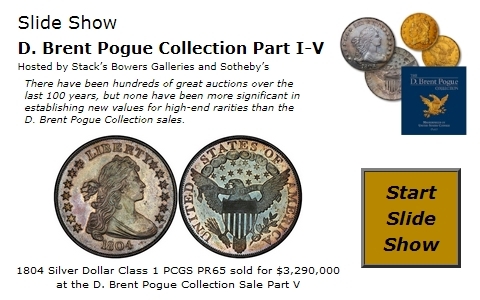 This show always attracts thousands of dealers and collectors and is sure to offer us an indicator of what we can expect for the next few weeks. The U.S. Mint offered the First Spouse Gold Coins last week; the coins sold out within two hours. The secondary market is already exploding for these “rare” bullion coins. Dealers are forced to play this market as novice collectors spend millions on well-publicized modern issues. The metals continue to be lackluster. Gold is currently $652.30 and Silver $12.90. Platinum has dropped to $1288. Make sure you check the NumisMedia Home Page for current prices before committing hard-earned money for bullion.